Because of this, we support our writers by hosting regular book, pamphlet and journal launches in and beyond our home in Loughborough. These launch events enable our writers to reach our to their readers, and include refreshments, readings, special guests, and a chance for your supporters to buy copies of your work! Take a look at our upcoming events below or check out our launch event galleries here. If you’d like to know more about one of our launches, please email us here or join our mailing list. We look forward to seeing you at one of our events very soon! We’ll travelled down to the beautiful town of Dorchester on 27th March for the launch of our second pamphlet from our ‘Siblings’ poetry competition in 2018. 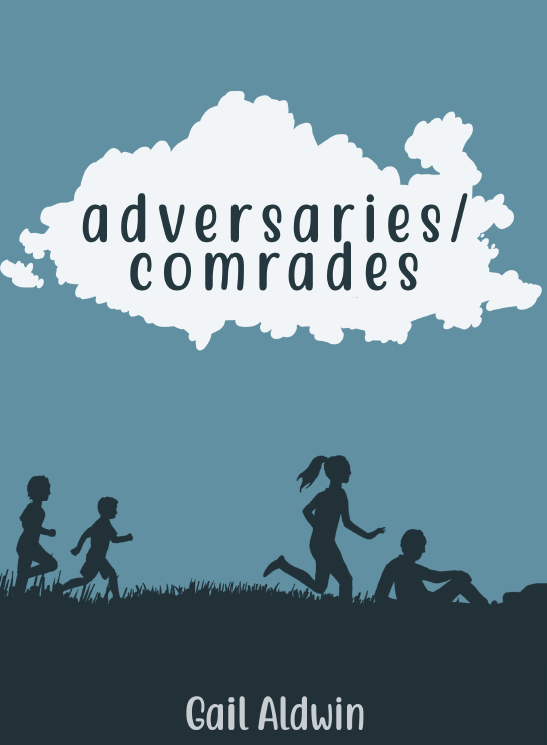 Hosted at Books Beyond Words, we celebrated the release of Gail Aldwin’s adversaries / comrades, complete with music from Magdalena Atkinson. On 23rd March, we launched the first of two pamphlets from the winners of our ‘Siblings’ poetry competition in 2018. A great crowd joined us at The Poetry Cafe to celebrate the release of Rachel Lewis’s Three Degrees of Separation! To see photos from this launch event, click here! On 23rd February, we hosted a launch event at Donington le Heath Manor House to celebrate the release of (Re-)Living History. This debut poetry pamphlet explores the rich history of our region and is written by local writer and music teacher, Georgie Lorimer. On 22nd February, we hosted the official celebrate and launch of Issue 7 of The Purple Breakfast Review, themed on ‘Waiting’, at Loughborough University’s School of the Arts, English and Drama. Seven of our writers read their work aloud, while our audience members celebrated with them. With special surprises and Issue 8 announcements, it was a fabulous eve! To see photos of our fantastic launch night, click here. On 2nd March, Sophie joined writers at the Attenborough Arts Centre to celebrate the launch of the Family Matters anthology. Sophie read two of her poems, ‘Changing Seasons’ and ‘Footprints in the Snow’, both of which were published in the collection. As well as organising launch events to celebrate the achievements of our own writers, we can also help you to avoid any additional stress by taking on the role of event organisers for your upcoming launch, too!